WESTFIELD, Massachusetts - April 5, 2018 - Savage’s new A22 Target Thumbhole features a precision-built laminate stock and heavy fluted barrel, which help extract even better accuracy from this latest addition to the proven A22 platform. Shipments of these firearms are currently being delivered to dealers. The A22 Target Thumbhole uses a straight-blowback action in its 22 Long Rifle chambering and Savage’s exclusive delayed-blowback action in the 22 WMR to give both guns extremely reliable semi-automatic performance. 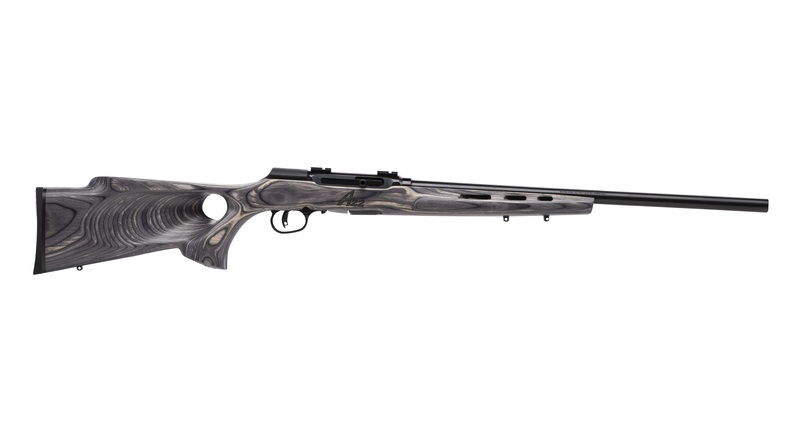 The rifle features the user-adjustable AccuTrigger and the same thread-in headspace system as Savage’s centerfire rifles for the utmost precision and consistency.